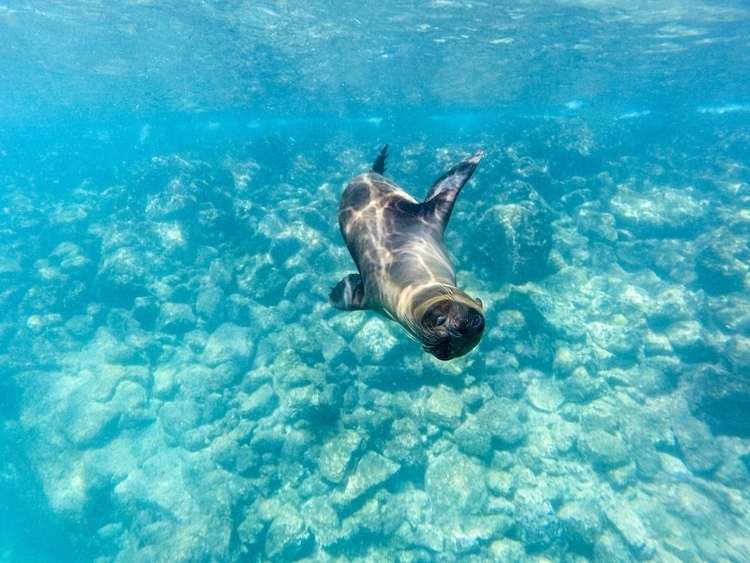 The snorkeling opportunities in the Galápagos are plentiful - both near the shore and in deeper water. When snorkeling you can find an interesting mixture of cold and warm water species that is rarely found anywhere else. Depending on the location it is also possible that you will have the opportunity to snorkel with penguins or sea lions. The various snorkeling sites are discussed in detail in the Chapters about visits to the individual islands. Near-shore snorkeling reveals many colorful tropical fish, sea lions, penguins, marine iguanas, boobies, turtles, and small sharks. Snorkeling in blue water offers the chance to see dolphins, whales, hammerhead sharks, larger turtles, mola molas and rays.